… then came the tram to Pacific Heights. The earliest residential subdivisions in the Islands appear to have been laid out by the government on the level areas between Thomas Square and Pawaʻa, initially under governmental auspices, during the 1880s. The area was known as Kulaokahu‘a (“the plain of the boundary”) and commonly referred to as the Plains. 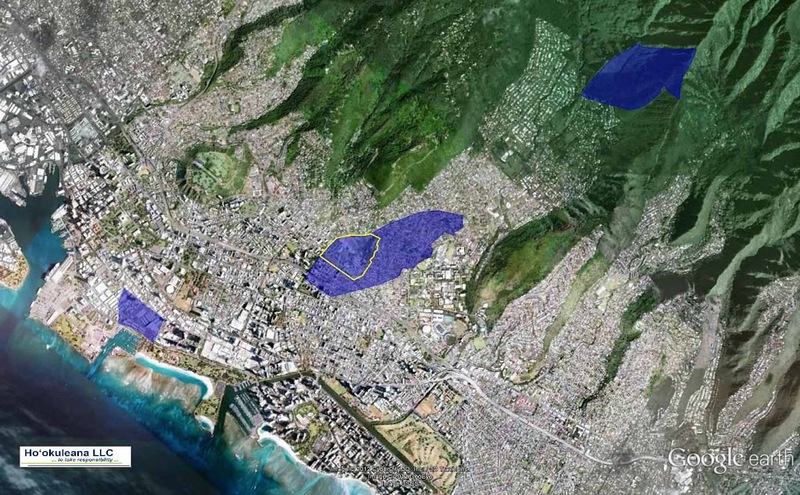 Kulaokahu‘a was the comparatively level ground below Makiki Valley (between the mauka fertile valleys and the makai wetlands.) This included areas such as Kaka‘ako, Kewalo, Makiki, Pawa‘a and Mo‘ili‘ili. During the same year, the Oʻahu Railway and Land Company sold lots at Pearl City, by their new railroad line. New subdivisions “between Punchbowl slope and Punahou,” in Kaimuki, and on Pacific Heights appeared in the late 1890s. By 1900, Honolulu had a population of more than 39,000 and was in the midst of a development boom, creating tremendous need for more housing. Charles Desky built the Pacific Heights Electric Railway to support the housing development he had created near downtown Honolulu. It is the first “electric passenger road” in Hawaiʻi; as such it is the forerunner of a system which before many months stretched out from the City center in every direction. Subdividing soon became a full-time occupation. In January 1898, Theodore F. Lansing and A. V. Gear formed the firm of Gear, Lansing & Co. and before the end of the year had subdivided a 10-acre tract in Makiki and had begun work on a 260-acre subdivision (with an option for another 260) in Kaimuki. Maps of Honolulu in 1897 show few byways outside the central city. There were just a few little farm roads. 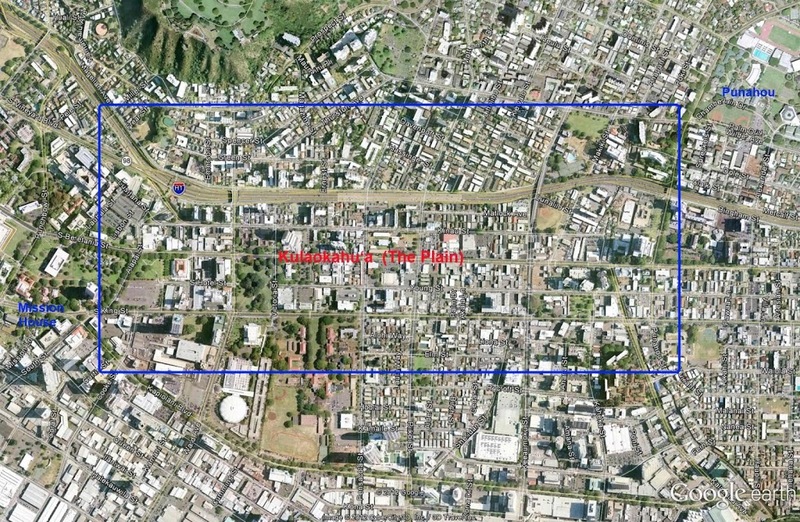 Yet in 1900-1901, Mānoa, McCully and Kaimuki are all laid out with grids and it’s definitely because of the streetcars. By 1904, the streetcars were averaging 18,327 riders a day, 365 days a year. 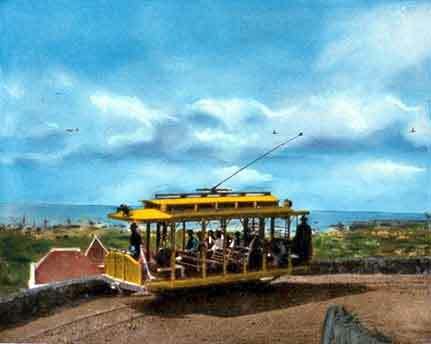 The image shows the first electric streetcar system in Honolulu was a small stand-alone operation by Charles S Desky in 1900 servicing Pacific Heights (JLB Press.) In addition, I have included some other Pacific Heights and related images in a folder of like name in the Photos section on my Facebook page.